Prominent & Leading Manufacturer from Ahmedabad, we offer pre filters, industrial pre filters, dual filters, microvee filters and air filtration system. We are one of the top grade or reliable industries in the field of manufacturer. We serve various ranges of filters with top quality and everlasting durability. 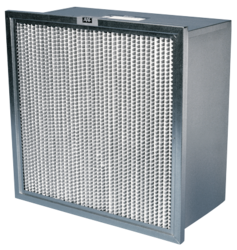 We are offering Pre Filters perform specifically to remove unwanted frequency components. We provide Filters cleanse water to various extents for irrigation, drinking water, aquariums, and swimming pools pre Filters for cleanses of water or air. These pre filters are very well known for their good feedback. We offer these pre filters to our clients with very sufficient price. 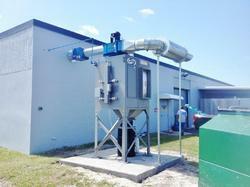 Keeping track of the latest market development, we are introducing a wide range of Industrial Pre Filters. Offered in varied sizes and specifications as per the application requirements of our clients, this filter is manufactured using superior quality raw material and employing contemporary technology. In addition,our quality examiner conduct a series of test on this range in order to eradicate any kind of defect in it. We are the leading manufacturers and suppliers of Dual Filters. These dual filters provide quality of design and performance and are available in wide range of equipments, sizes and trimmings. Products are widely appreciated among our clients due to its ease to use, low maintenance, sturdiness, durable material and optimum quality. The dual filters suits best with the demands and requirements of our valued clients and it is available in various regions of country. We are offering these dual filters at very reasonable cost. We are offering our prestigious clients a very long durable quality range of Microvee Filters Equipment. Our range of filter equipment is known for its highly adoptable features and excellent results as expected by the user. Our range is available at market lading price. 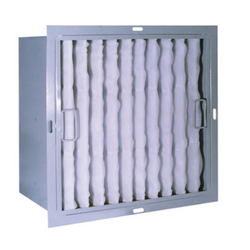 We are the Leading Manufacturer and Supplier for Air Filtration System .